Adults and teens are welcome to read the book and join us for discussion. Refreshments served. For all ages. 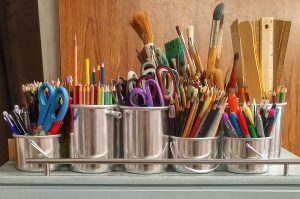 Learn lead drawing from John Martin, acrylic and oil painting from Jerry Duke, and find out about art programs at Doodles from Nikole Wagner. All art supplies provided. For Adults. Crafts, creativity, conversation, and camaraderie. Bring your own project and craft with us! Come learn what dyslexia is, what it looks like at different ages and stages of learning, and what steps can be taken if someone you know may be struggling because of dyslexia. Presented by Tracy Maxwell of Great Minds Dyslexia Center. Join us at Beloit Public Library for the FABL Film Night movie series for adults and teens. Refreshments provided.